GOKPOP | Exclusive K-News in Malaysia & Singapore: A Good Day with Park Bo Gum in Malaysia: It's More than Just A Fan Meeting! Park Bo Gum returned to Malaysia for the 3rd time and this time was for his 2019 Asia Tour titled <Good Day: May Your Everyday Be A Good Day> held last Saturday (30 March) at KLCC Plenary Hall. Park Bo Gum did not fail to impress the fans with a total of 13-set performances and transformed the fan meeting to a mini-concert instead. 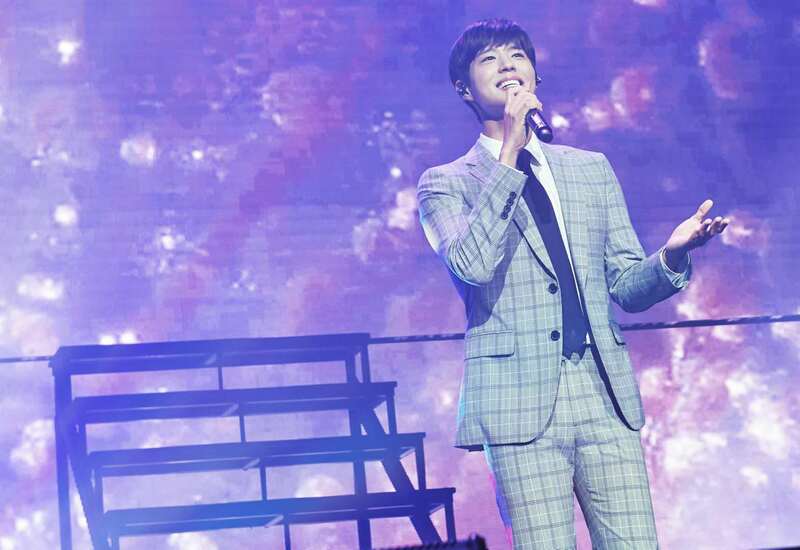 Fans were seen bouncing and chanting along when Bogum was up on stage with his own rendition of the classic hit tracks. 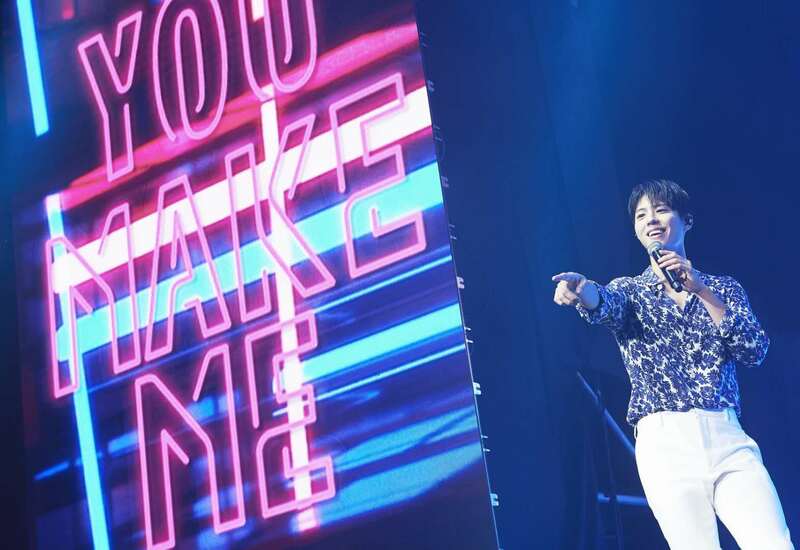 Park Bo Gum started his first set with Day6's 'I Like You', serenading fans with his sweet voice. Bo Gum then greeted the audiences by saying how happy he was to see Malaysian fans again after 3 years. He added Kuala Lumpur was the first stop of his first Asia fan meeting held in 2016. That is also the reason why he mentioned during the press conference that he felt attached to our country, Malaysia. The next question was “What does Bo Gum remembers most about Malaysia fans”, and he said it was when he danced “Bombastic” with his fans during his previous fan meeting here. And for the last question, “What kind of acting roles Bo Gum wants to do in the future”. Bo Gum and the host asked the fans for opinions, and the fans said a doctor role. Bo Gum then said he wants to try a pediatric surgeon role. We hope that we could see Bo Gum in a doctor’s robe for his next drama! After the fun Q&A session, Bo Gum talked about his most recent drama “Encounter” and his moments while filming for the drama. During this talk, it was announced that there was a lucky draw. Two lucky fans from the lucky draw were invited on stage to act out famous scenes from the drama together with Bo Gum. The scenes that were selected were the scarf-wearing scene and selfie scene. Not only that, top 3 famous scenes were selected for “Most Heart Pounding Moment in Encounter” for fans to relive Bo Gum’s sweet and romantic side. Among the fan services Bo Gum prepared for the night, the segment “Good Day Class” was for sure a special one as Bo Gum personally made a one and only diffuser for one of his lucky fans. We can definitely see his sincerity while he was making it. While he was making the diffuser, the host asked Bo Gum to sing a song, and Bo Gum sang “DNA” from BTS. Fans were excited and Bo Gum even asked the fans “Do you like BTS?”, while he replied “Me too”. Before the segment ended, Bo Gum said that he brought special gifts from Korea to gift the fans. Among the gifts were Encounter drama posters, apron he wore during his previous fan meeting, Kakao Apeach plush toy, Coca Cola calendar, t-shirt and official light stick. 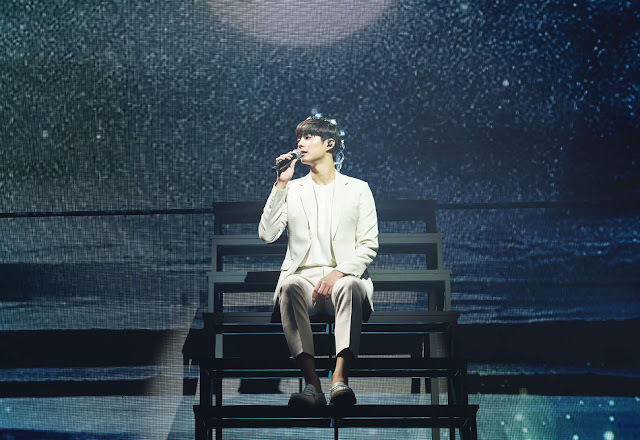 After going backstage to change, he appeared at the back of the concert hall dressed in an all-white suit, surprising fans. 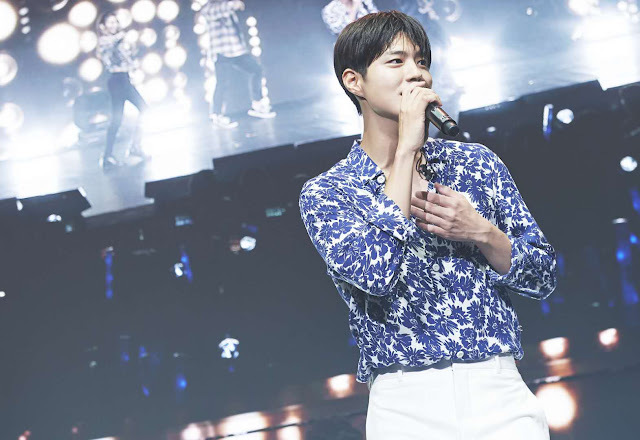 While singing 'Let’s Go See The Star', Bo Gum walked around the hall, greeting the fans and made his way back to the stage, not forgetting to ask fans if they got hurt. Fans were treated to Bo Gum’s sweet voice when he sang IU’s 'Through The Night'. After the performances, Bo Gum showed his warm side by reminding fans to always put their safety first. He then serenaded with two more songs, 'Always Be With You' and 'My Dearest'. It was now Bo Gum’s dance time as he came on stage with exciting dance songs, Cho Yong Pil’s 'Bounce' and JYP’s 'Honey'. Bo Gum shouted “Stand Up!” to get the fans to dance with him. He also performed 'With You', Love in the Moonlight OST 'Swallowing With My Heart', PSY’s 'Entertainer' and 'Here We Are'. 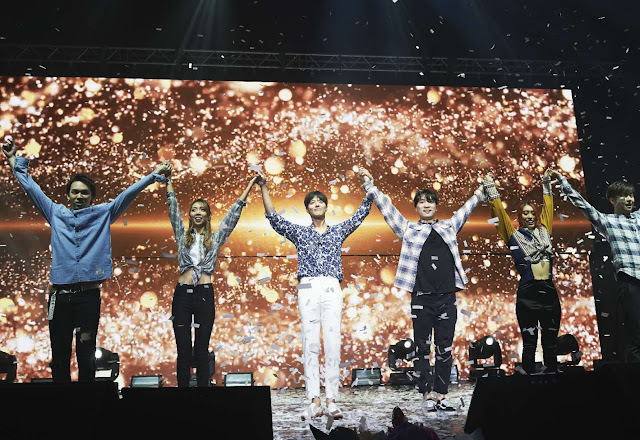 One of the highlights of the fan meeting was when Bo Gum appeared on stage with a piano, belting out 'Belaian Jiwa' with his perfect Malay pronunciation. Bo Gum certainly won over fans’ hearts with his perfect rendition. Then it was photo time with fans before he performed the last song g.o.d’s 'One Candle'. After fans continuously chanted for Bo Gum, he came on stage again for the encore. Bo Gum performed two idol cover dances - Twice’s 'What Is Love' and Seventeen’s 'Pretty U'. While performing 'Must Have Love', Bo Gum brought out baskets of signed balls and threw them to the fans. After Bo Gum said his last ment, he sang the last song of the night 'I Bless You' while he walked around the stage saying his goodbyes. The fan meeting concluded with a hi-touch session for all attendees. On top of that, Bo Gum prepared letters for everyone, and this shows the efforts Bo Gum puts for his fans. We believe this moment is definitely the most precious for his fans. The 2-hours fan meeting ended on a great note, filled with happiness, sweetness, laughter and many countless memories. Hopefully, we will able to see Bo Gum soon with new dramas or movies! We would like to thank AC Entertainment - Malaysia for the invitation.